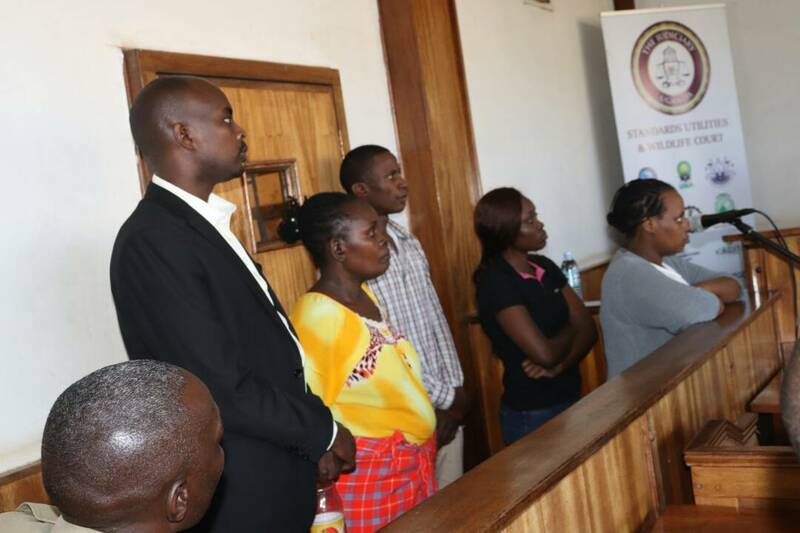 The five murder suspects who allegedly killed the Finnish national appear before Buganda Road Court last month. Court on Thursday remanded until Tuesday next week five people including Internal Security Organization (ISO) officer accused of causing death of a Finnish national in February. Prosecution led by Ms Viola Tusingiwire informed Buganda Road Court presided over by the Chief Magistrate Mr James Ereemye that the investigations in the case were ready with witnesses to testify against the accused. The accused Faridah Nagayi receptionist in Qatar, Fatuma Kabagambe a house wife, Nassifu a driver, Caroline Alinda a businesswoman, and Appolo Kyabagye a senior intelligence officer with ISO were last month charged with manslaughter, forgery, trafficking in drugs and conspiracy to commit a felony . On the counts of manslaughter and trafficking in narcotic drugs and psychotropic substances, prosecution contends that Nagayi, Kabagambe and Walusimbi, on February 6, at Pearl of Africa Hotel in Kampala, unlawfully caused the death of Terasvuori Tuomas Juha Petteri, 42, a Finland national, when they allegedly delivered narcotic drugs to him a day before. Prosecution further states that Alinda and Kyabagye on February 2, in Kampala forged an invitation letter dated February 2, 2018 purporting that the alleged document was signed by Col Frank Bagyenda Kaka the head of ISO. The duo is facing the count of conspiracy to forge the document in question alongside Nagayi. Terasvouri was found lying dead in his Hotel room and later a postmortem report revealed that he had died of drugs.